THE FIRST OF THEIR KIND! 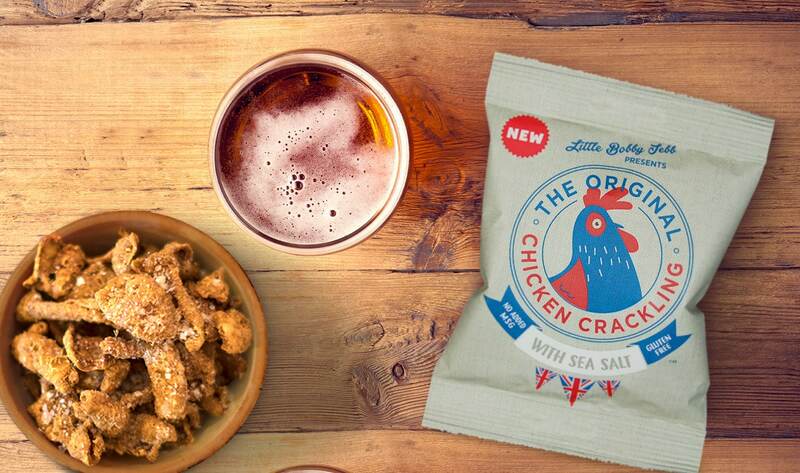 Here we have it, the all-new, all #British, original Chicken Crackling. Hand-cooked crispy pieces to enjoy as a snack, with a dip, or just about anything you can think of. As natural as can be. Our finest skins cooked and sprinkled with sea salt. Nothing else. Sweet, crispy Crackling with a bit of a peck to follow. 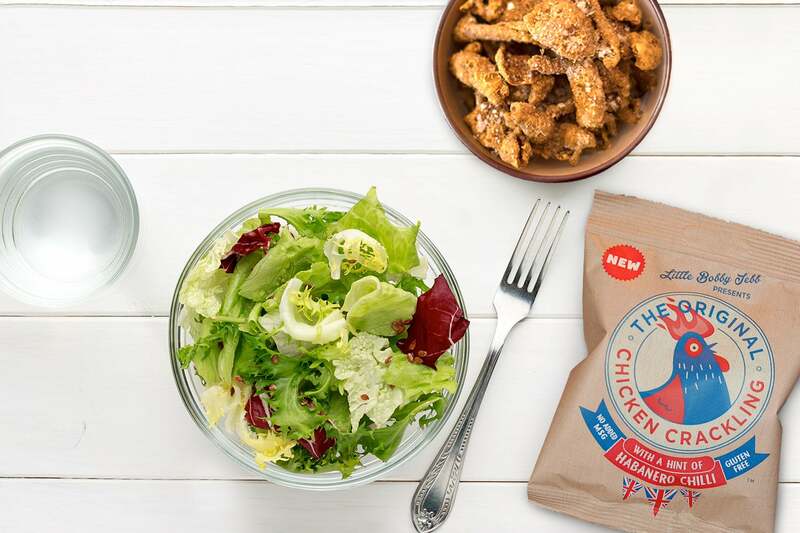 Simply seasoned, here’s something a little lighter to make that salad or cup of soup a bit more interesting and flavoursome. Are You a Restaurant, Hotel or Gastro Pub? 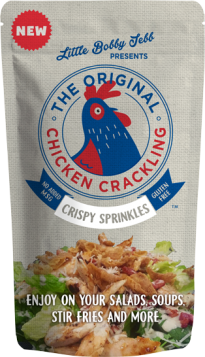 Our chicken Crackling makes an incredible addition to a menu. Served warm as a starter with interesting salts and dips, it comes unseasoned for Chefs to do what they do best. We’ve seen some amazing menu ideas already from country local to Michelin Star restaurant. 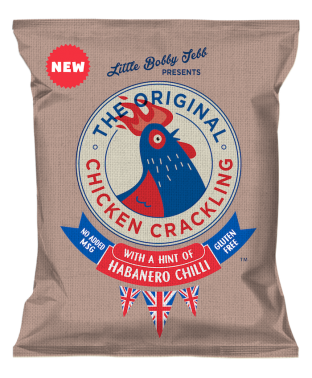 Enquire at hello@chickencrackling.com for details and prices. The good news starts here. We have now launched our Crackling and the hard work starts. Having had a fantastic response to our unveiling at the recent ExCel Hotelympia show means its all going to be very busy… We’d like to thank you all for your support whilst we made changes and improvements over the weeks and months (actually years) and for your patience whilst we try our best now to get this lovely stuff into a shop, pub or restaurant near you! 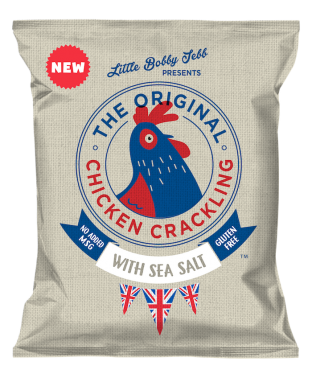 © Little Bobby Jebb Food Ltd 2018. All rights reserved. Designed by OvernightSite.